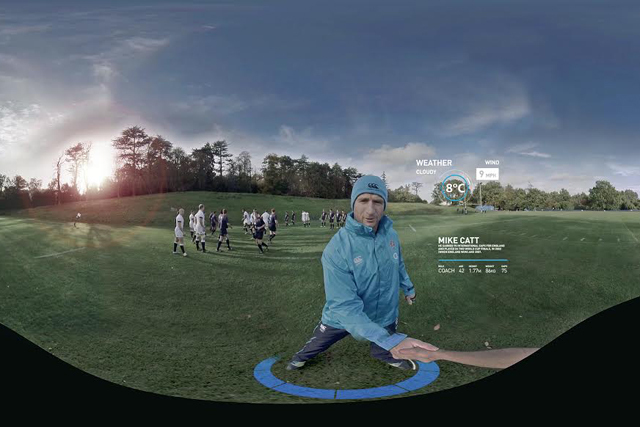 England Rugby sponsor O2 has created a 360-degree virtual reality (VR) sporting experience that will let sports fans don an Oculus Rift gaming headset and virtually train with the England rugby team. Dubbed ‘Wear the Rose’, the experience was created using nine GoPro cameras to capture 160 hours of video that enables Oculus Rift wearers to turn their head in any direction and view all 360 degrees of perspective. O2 has produced a short trailer outlining and providing footage of the experience. O2 will shortly release details of where consumers can experience ‘Wear the Rose’, with activity likely to focus on England rugby games.